One of the best things about BNN is it will give us the chance to get rid of all the stuff we have lying around but are too sentimental to get rid of (my main weakness is books). I have come to terms with the fact that in order to get our home sorted out and looking fabulous I will have to part with many of the books I have accumulated throughout my reading years – of course I wont be getting rid of any of the very precious books I own… just the ones sitting around taking up precious shelf space. I had been trying to think of what to do with the books because I want to make sure they get used and don’t just end up sitting in an op shop (I can just picture them on the shelf going ‘please pick me!‘), I used to volunteer at an op shop and know that books are one of the least commonly bought items. And after much deliberation I went into somewhere I’ve past on my many days to and from uni, it’s called the ‘Little Library‘ and is in Melbourne Central. 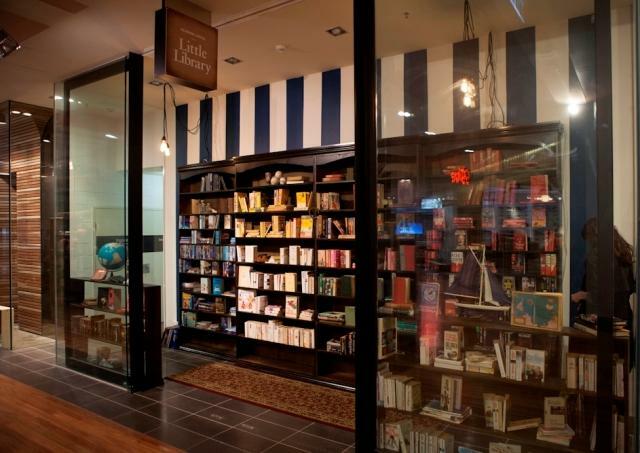 To be frank it’s more of a community service than a shop, how it works is Melbournians can go into the shop and donate their old books or swap and share with others inside the store. I really like the fact that this is all free and not based around making a profit off my belongings, and this way I know my books will actually stay in circulation and be used. So at some point in the next few weeks my no longer needed books will be finding themselves a new home in the Little Library.